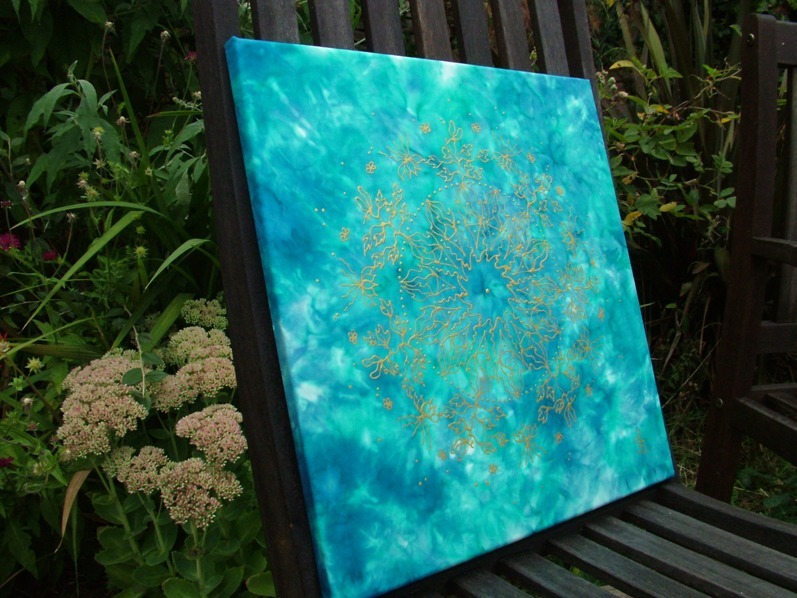 Made to Order: This gorgeous mandala is a beautiful golden mandala image painted on a silk panel painted with turquoise and blue silk dyes. The golden pattern shimmers beautifully in the candlelight and adds a really mystical element to this painting. Your painting will be in this colour scheme with a very similar design but with its own uniqueness. 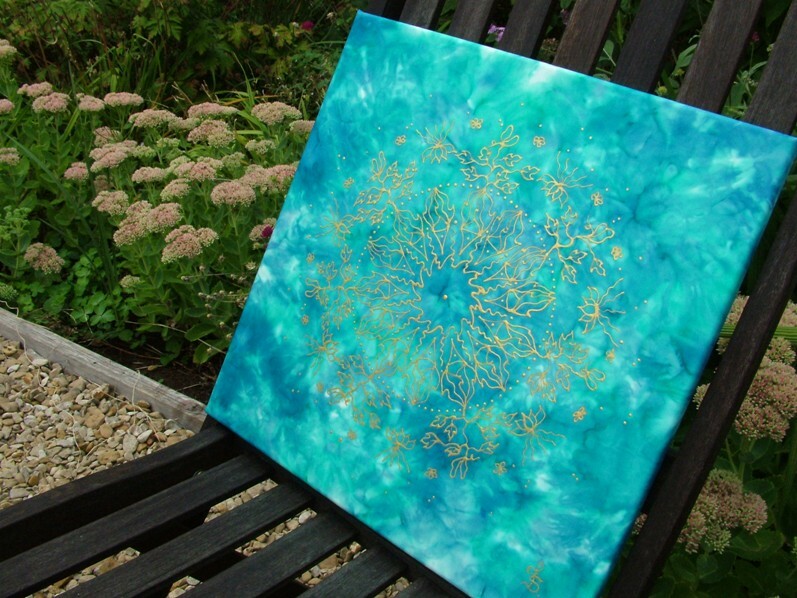 It can be hung in your sacred space and be used as a focal point for meditation and other spiritual practice. All it takes is one small hook or nail and it is ready to hang. I created the background by painting 3 different shades of dyes onto it and then steaming it to permanently bond the dyes with the fabric. 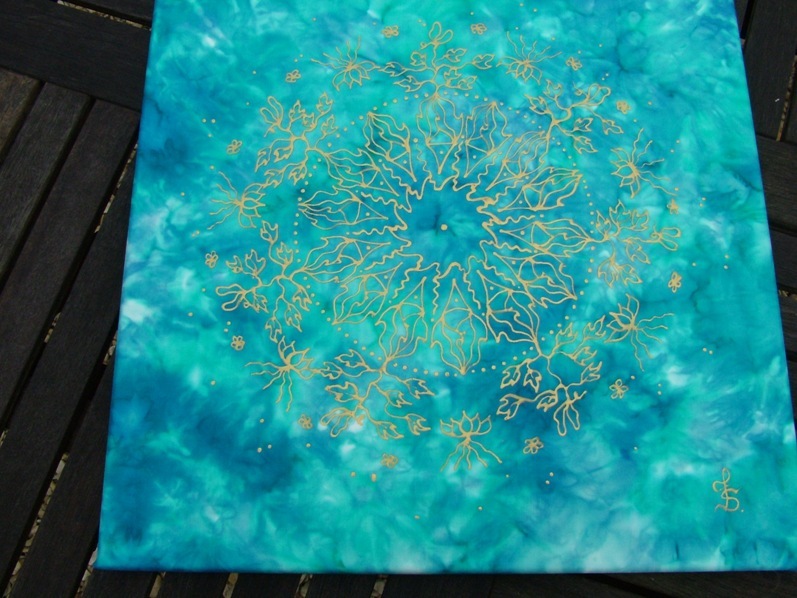 Then I stretched the silk onto the wooden frame and created this golden mandala using gold resist in a small bottle with a nib. When it was dry, it was heat set on the fabric. 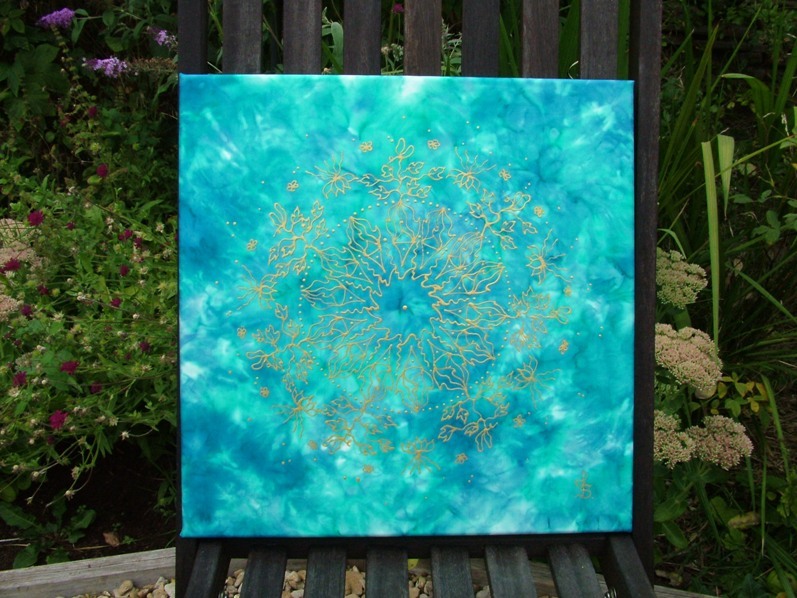 This stretched silk picture measures 40cm x 40cm x 2cm (approx. 17″ x 17″) and is painted on pongee 8 silk. It is stretched on an artist’s canvas on wood. Your artwork will be shipped to you by 3+ days courier in the UK and economy courier for overseas. Ready for shipping in 5 business days. 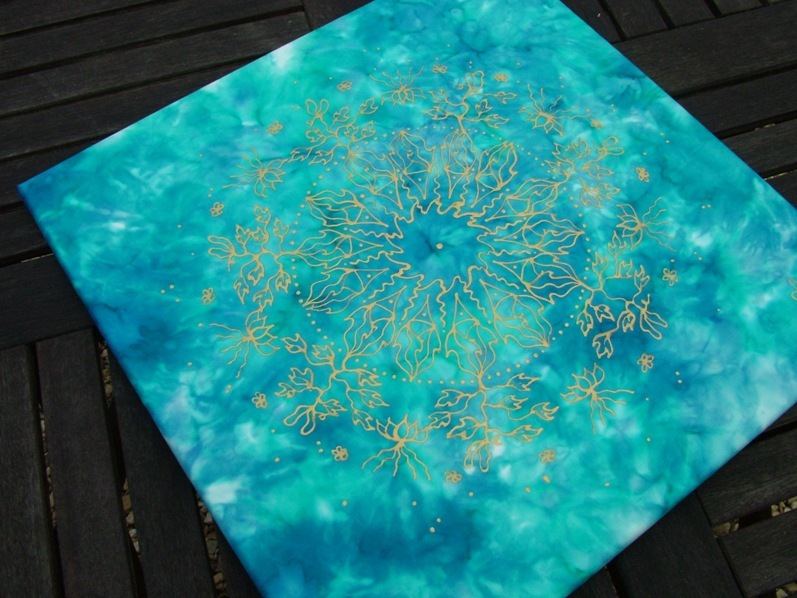 This entry was posted in Mandala Paintings on August 30, 2013 by Fiona (update Jun 10 2014).